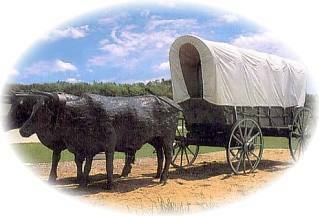 The community of Westmoreland is nestled in Rock Creek Valley where Oregon Trail travelers once camped. Graves and wagon ruts remain in the area of this pioneer oasis. The town was surveyed in 1867, and was incorporated as a city in 1871. It is the County Seat of Pottawatomie County which was organized in 1856 and named for the Pottawatomie Indian Tribe, whose reservation at that time included part of the County. The City was named Westmoreland by John McKimmons, the first postmaster, after his home county in Pennsylvania. The Westmoreland City Pool was constructed in 1991. Swimming lessons are available in the summer and the pool can also be rented for private parties. Adjacent to the pool is a shelter house and playground, all of which are part of Dechairo Park.